Previously we posted about receiving LRPT weather satellite images from the Russian Meteor-M2 weather satellite using the RTL-SDR. 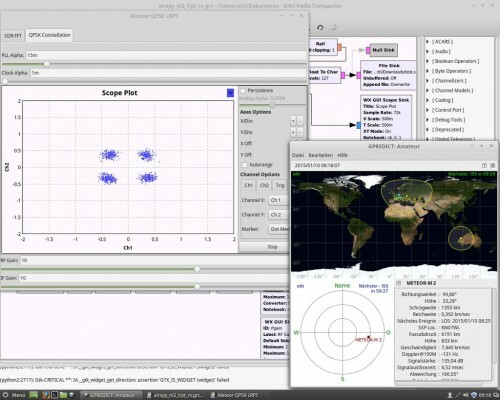 Now on GitHub, developer otti-soft has uploaded a LRPT decoder GNU Radio script for the Airspy. The script appears to be a modified version of the GNU Radio based real time decoder for the RTL-SDR, but optimized for the Airpsy and it’s 10 MSPS or 2.5 MSPS sampling rates. Note that although this is a real time receiver, the final image still needs to be processed on a Windows PC using LRPToffLineDecoder. Also over on Twitter otti-soft has been uploading some images that he has received with his Airspy.